I have an Art Barn and Ross has a surf shed. Right outside the laundry room is a place to store boards and a place to shower off. The board in the middle is covered by a board sock that I made Ross for Christmas. I keep meaning to post about it but basically it is an old quilt that I cut out and sewed to fit his boards. A friend gave us this 'house blessing' for our wedding. It is supposed to bring 'protection, production and fertility.' It has been nailed into the surf shed since we built it 6 years ago. The outside shower... very simple, yet my favorite place to shower. "Ross For Boss." Found in an alley way trash can. I made Ross stop the car so that I could snag it. Perfect for 'Ross the Boss,' no? 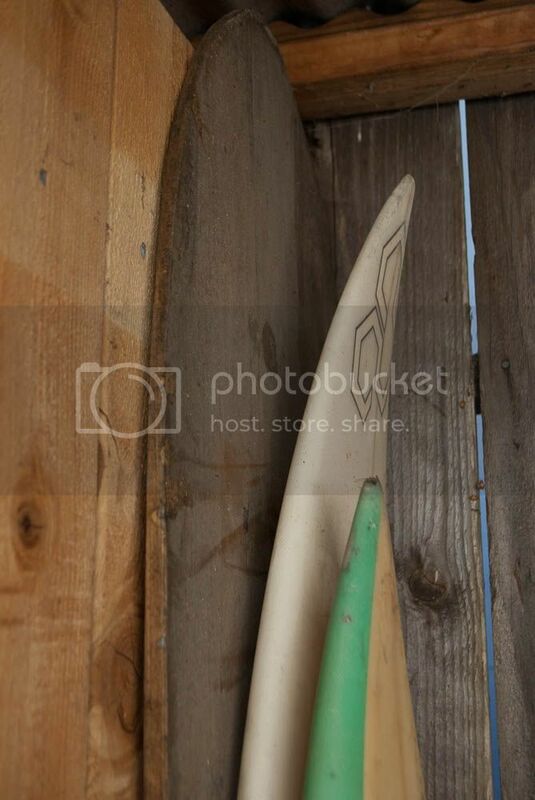 You have a whole surf shed? It's brilliant. And I love the little house blessing. It has such an old world feel to it. Happy Weekend, darling! 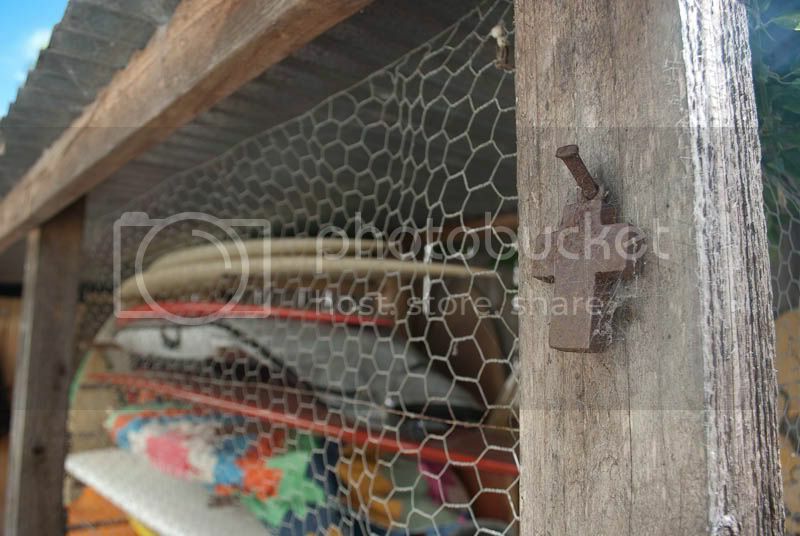 What a great surf shed...and I love the cross by Jan Barboglio. I always give that as a house warming gift and have her candle holder with a clear glass white religious candle in my kitchen. 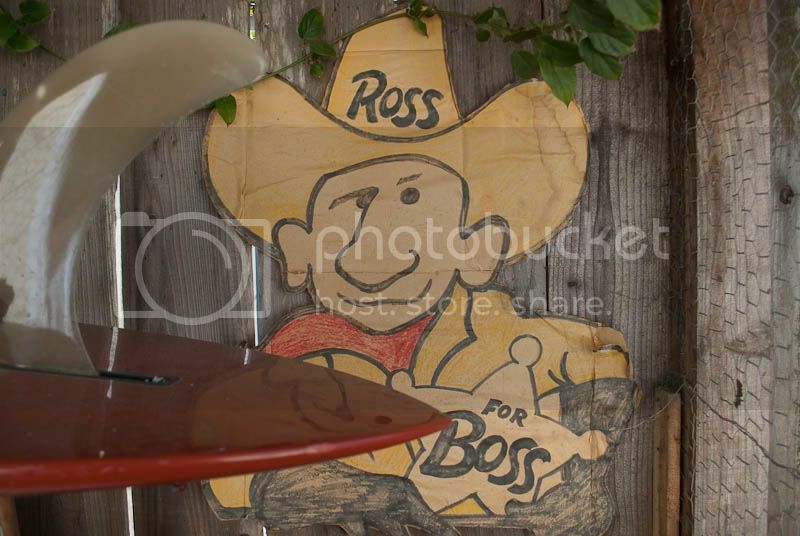 Ross for Boss...I don't even know your hubby and I think that is one of the best things I've ever seen. Good eye! a board sock by F+F ~ genius! 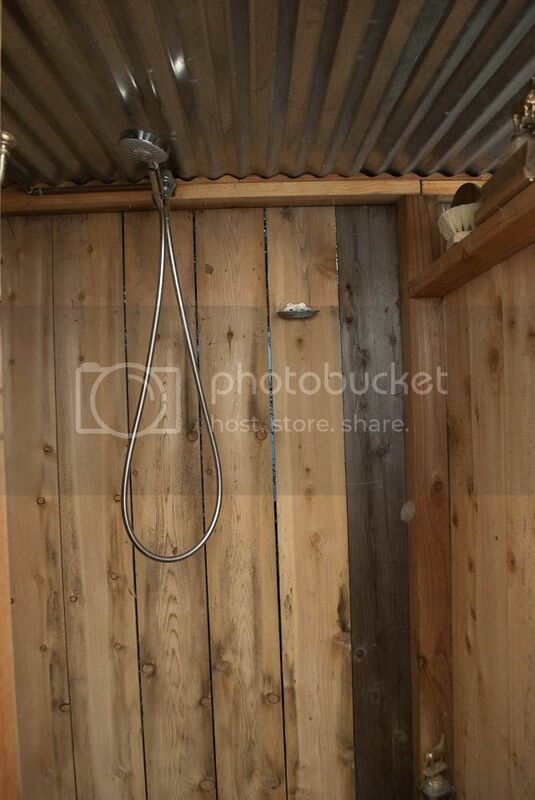 I'm with Jennie, I love the outdoor shower and it's an amazing thing to shower outside - not much else quite like it. AND you score the best finds!! So happy to find your blog via twitter! 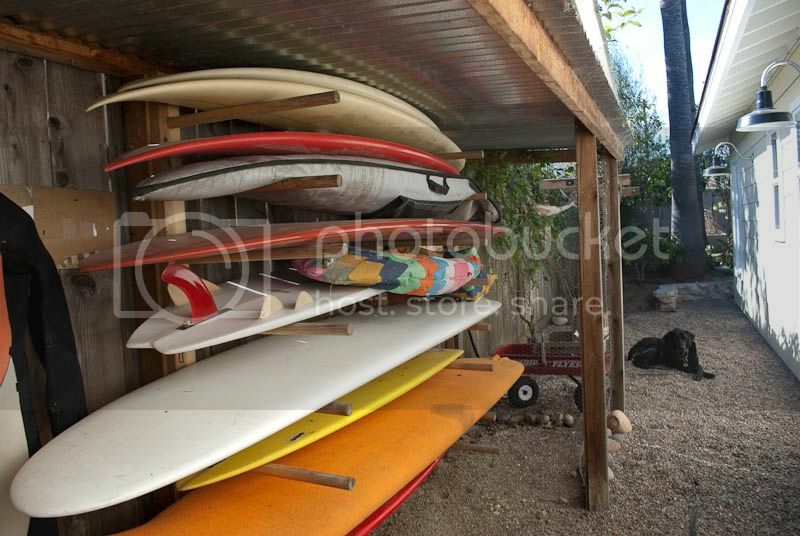 Love your surf shed! Beautiful! 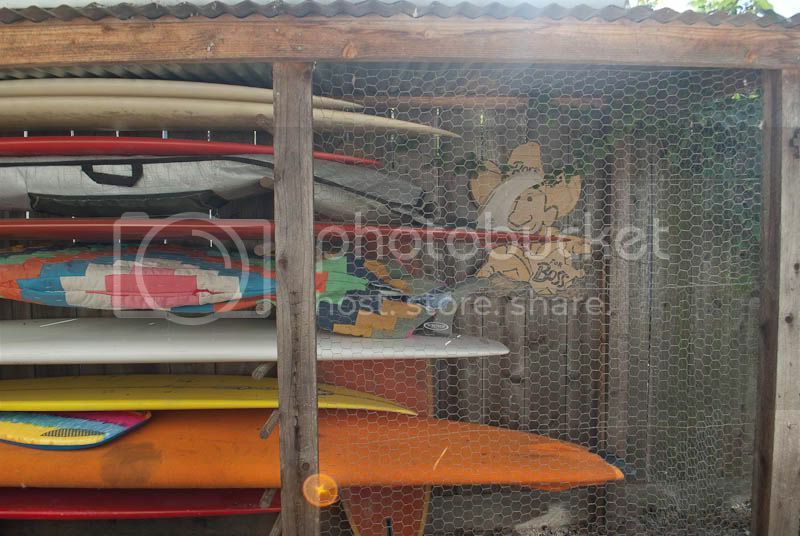 Wish I was living somewhere with an outdoor shower and surfboards stacked up!!! ... and we have a mexican house blessing cross too - you've just inspired me to actually nail it up somewhere! I love it! My husband would really LOVE it! i LOVE The Boss cut out!